Renovations to the Carr House, a Williams-Mystic Maritime Studies Dormitory. Lighthouse Renovation. A replica of Nantucket's Brant Point Lighthouse, the lighthouse was converted into an exhibition hall. Facilities Condition Assessment and Feasibility Study of the 20,000 square foot G.W. Blunt White Library, Mystic Seaport's former research library turned exhibit facility. 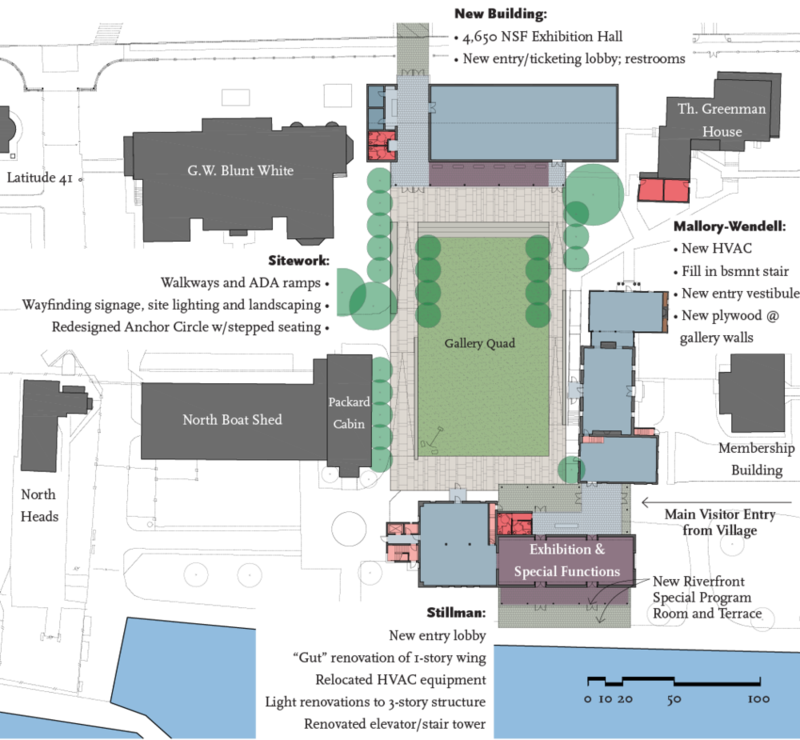 Improvements to the Seaman's Inne (now known as Latitude 41°), Mystic Seaport's largest restaurant and events facility. Facilities Condition Assessment of Stillman, Mallory, and Schaefer exhibition buildings. Renovations to the Labaree House, Williams-Mystic's administration building.